It's not everyday that a genuinely awe-inspiring public treasure just crops up in your local area. Well, it's just happened 'round here with the birth of Tremenheere Sculpture Gardens, and it's hard to overstate the brilliance and benefit it brings. 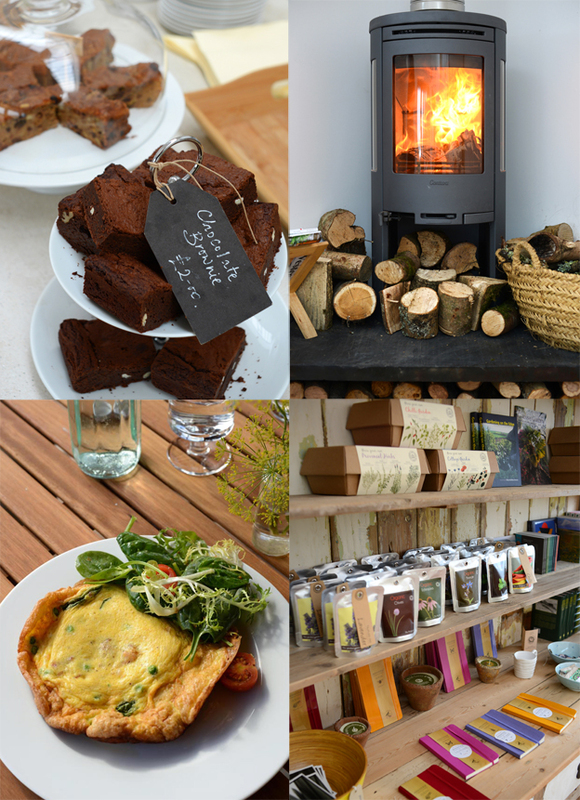 Its location meant it slipped under our radar, but since the opening of Tremenheere's own café, The Lime Tree, the ensuing local buzz drew us in. The gardens and cafe are both post-worthy in their own right, yet being intrinsically linked, it was impossible to separate them. 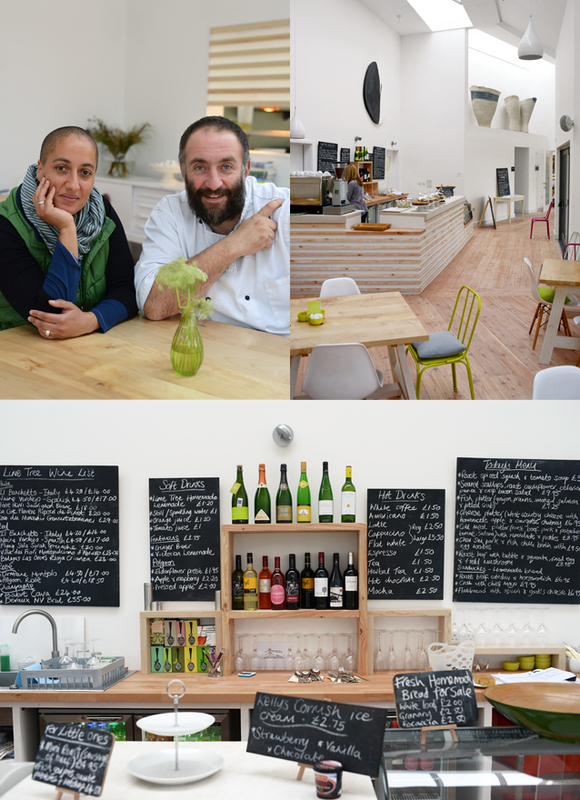 We spoke to café manger Miki Ashton who, it turns out, is just as involved in the gardens. She was able to give us an equally thorough insight into both compelling ventures. 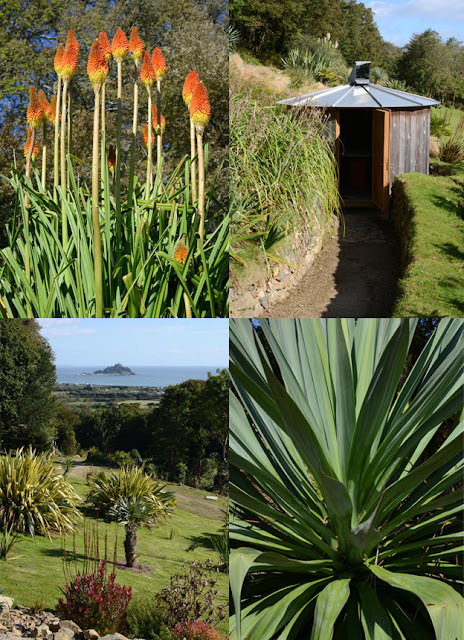 Back a while, when the land at Tremenheere was still being put to agricultural use, it had already been earmarked by some high-profile gardening types as having the potential to be one of the best gardens in the country. It's because the spot possesses a unique combination in it's geography, microclimate and soil properties. But this has been known for centuries; the monks living on St. Michael's Mount had a vineyard here in the 13th Century (who says British wine is a new phenomenon?). The man who saw it's true potential most recently was Neil Armstrong, a local doctor, who's passion of gardening lead him to purchase the land when it came up for sale in 1999. So, unlike most other local public gardens, Tremenheere is privately owned. There's no national charitable organisation at work here, no, far from it; we were astounded to learn that most of the work has been carried out by Dr Armstrong himself, with the occasional help of one gardener, more recently. This kind of gargantuan solo effort puts us in mind of Rowena Cade's Minnack Theatre, in fact the similarities between these two sites don't stop there. Both embrace natural coastal views and both celebrate art. Tremenheere's unspoilt vistas of the Mount are just one of its joys. The bounty of exotic flora, including tree ferns, cacti, bamboos and giant, prehistoric-looking succulents, make you feel as if you're walking through an Eden biodome. We admit to knowing very little about gardening, but apparently there are species of plants growing here that simply do not grow outdoors in any other part of the country. Its sub-tropical bias also means that the gardens will remain green, and open, for most of the year; both the gardens and café will only be closed for the month of January. Fair enough. But what about the sculpture? This aspect of things began a few years ago, when American experiential artist James Turrell was looking for a permanent home for his work, Skyspace. That home was found in Tremenheere, with Neil offering his garden as a blank canvas for the artist, who now has two works on site. 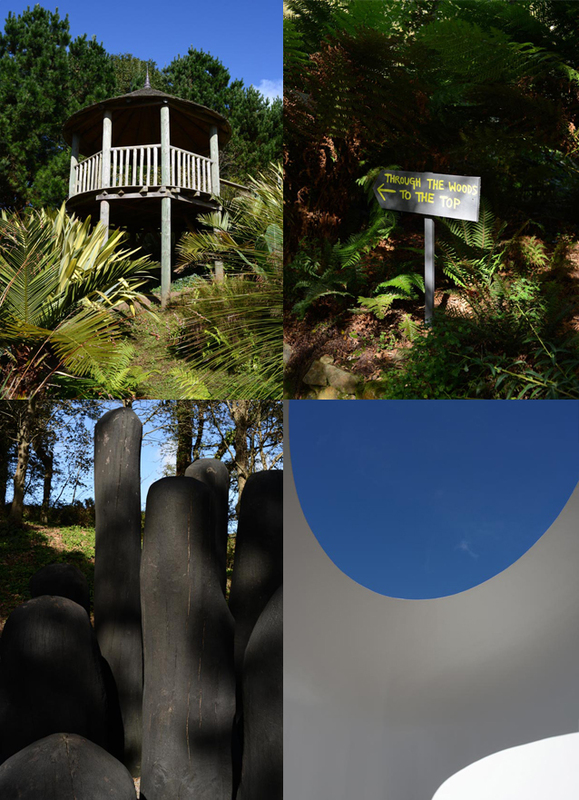 Since then, David Nash, Kishio Suga and Billy Wynter have all made the gardens their perpetual gallery for large-scale sculptures and installations. The pieces are all linked, in that they worship the natural world. It's a fitting theme. The move to open up to public visits was not part of the original vision; it was not begun as a moneymaking enterprise. But when upkeep became too costly, the gates were opened, and West Cornwall gained a magical asset. As you burrow through woody undergrowth, emerge into open desert-like terrain, wander across green hillsides, gaze at world-beating views, navigate shrub-fringed paths, in and out of mind-altering artistic experiences, all in the space of a few acres, you can hardly believe you're ten minutes from Penzance. Despite our wealth of naturally occurring rural treasures, this man-manipulated version replies to our need for stimulation through creativity, and does it on a breathtaking scale. But that's not the end of the story, there's more garden to come, as Neil has recently purchased a further three acres of land at the very top of the site. And there's even a rumour of another artist collaboration. As in all gardens, change will be a constant joy. Once Neil allowed all comers to roam and ramble around his garden, it seemed a reasonable idea to feed and water them. Plans for an ambitious café were drawn up by Penzance architects Barrie Briscoe (to who the building is now dedicated) and Neil Wall of Arcos Studios, and some of the funding for the scheme came from a Rural Development Programme grant. Seeking advise on the design of the kitchen, Neil called upon old friends and experienced restauranteurs and caterers Miki and Justin Ashton. This pair were already past masters of the Penzance dining scene, having run their restaurant, The Lime Tree, first at the Penzance Arts Club and then at Trevelyan House on Chapel Street. They had built a loyal client base, fanatical about their outstanding food focused around the produce of a few key local suppliers. Happy to oblige Neil's request, Justin went about creating his dream kitchen at Tremenheere, not knowing that Neil would soon be asking them to run it. When he did, its out-of-the-way location instinctively made them nervous, but Neil's own Herculean work on the gardens and the prospect of a purpose-built space, inspired them. Using their original training as a product designer and furniture designer respectively, Miki and Justin created the interiors of the cafe, which saw Justin producing a bespoke design for the café tables, which are made from pleasing slabs of polished sycamore. The light and gallery-like space begged to house artworks, and continue the theme of the gardens indoors, and we can't not mention the two enormous Trevor Bell paintings that hit you when you walk in. These, like the beautiful oversized pots by Tony Lattimer, are on loan by the artists, who clearly saw the place as a fitting setting for their work. But let's not forget the kitchen, the heart of everything, and where the story started. Initially limiting his service to weekday lunchtimes, a Saturday brunch and Sunday lunch, Justin is putting out a small but action-packed menu, where Char Sui pork with fish chilli broth sits merrily alongside roast beef with bubble and squeak. Dishes are teamed up with a carefully considered list of wines, beers and fruity drinks, and for mid-morning visitors, coffee, tea and cake comes in many delicious flavours and formats. It quickly became apparent that the project was so much more than the 'straightforward' running of a café. Rather, it was to play a fundamental role in the running of the entire public operation. But they can see the potential; they know that there are two factors that are key to the site's appeal as a commercial proposition. Firstly, it's Tremenheere's dual focus; this is what makes it a 'destination', ensuring people get in their cars and come. We ought to mention the free parking at this point, in fact, it's so unheard of it's almost worthy of capital letters. The second factor is the seemingly limitless space available, making it an ideal base for all kinds of events and creative happenings. Weddings are an obvious market to tap, and the gardens now have the necessary license for marriage ceremonies – it doesn't take much imagination to see what a stunning venue they'd make. An outdoor Farmers Market is held on the second Sunday of the month – an idea that's expected to grow over time. Music events are in the offing too. We notice that the café even has a state of the art projector fitted, and we're told that plans for regular film nights are afoot as well. As Miki muses about her dream of live acoustic gigs in James Turrell's Skyspace, we get hooked by her sense that anything is possible here. Such boundless potential flies in the face of today's prevalent reined-in mentality. The Minnack, Eden and, now, Tremenheere, they all stand as our county's own proof that bloody-minded vision can make wonders still.